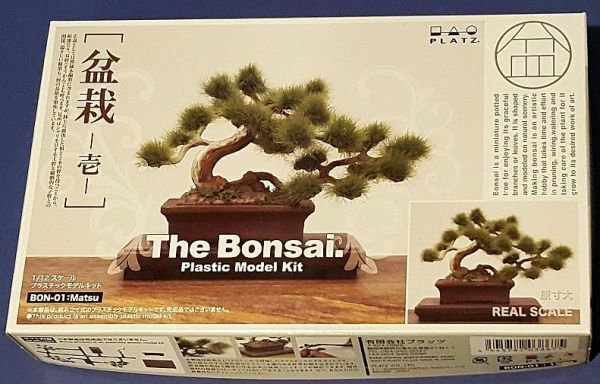 Out from Platz is this 1/12th scale plastic Bonsai tree labeled as BON-01: Matsu. 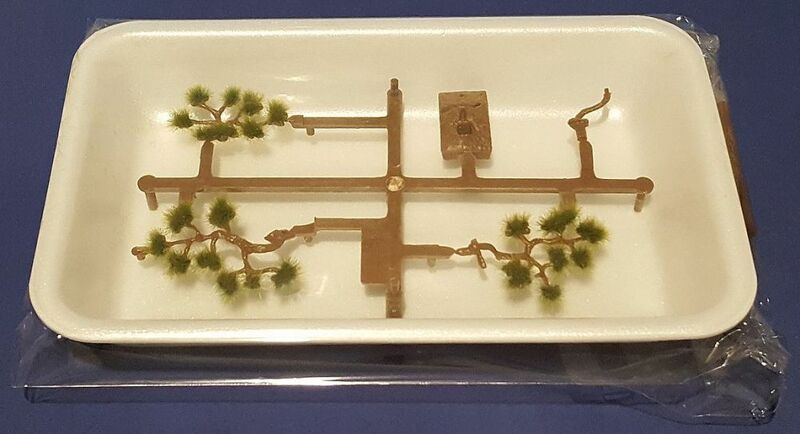 A bonsai tree is a miniature potted tree meant for an artistic hobby that is based on shape and natural scenery. Pruning, watering and taking care of the plant is a desired work of art. 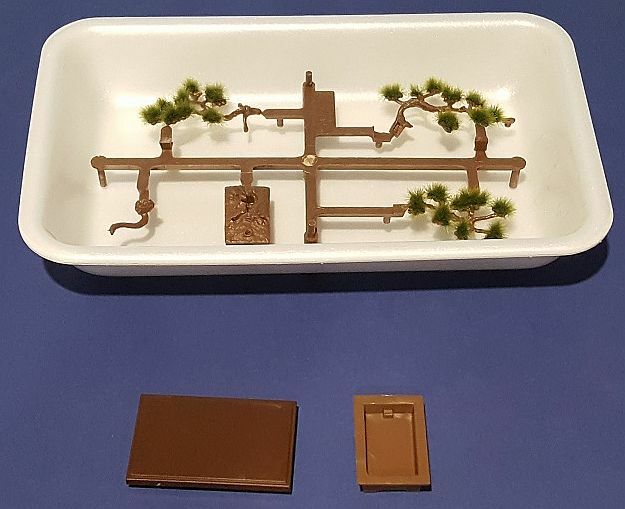 This kit is for someone wanting to build something different maybe like a 1/12th diorama of a traditional Japanese garden or whatever you could imagine like a tree for a battlefield scene. This is a very simple kit only containing seven parts that come in a plastic food tray for protection. The braches: which the leaves are already attached to, a pot for the tree, and a traditional table for the pot to sit on. The building instructions are one page and are in color with pictures of a character pointing the way of how to build this kit and there are no paint instructions. In fact on the bottom of the sheet it says " You may choose to paint the kit freely". 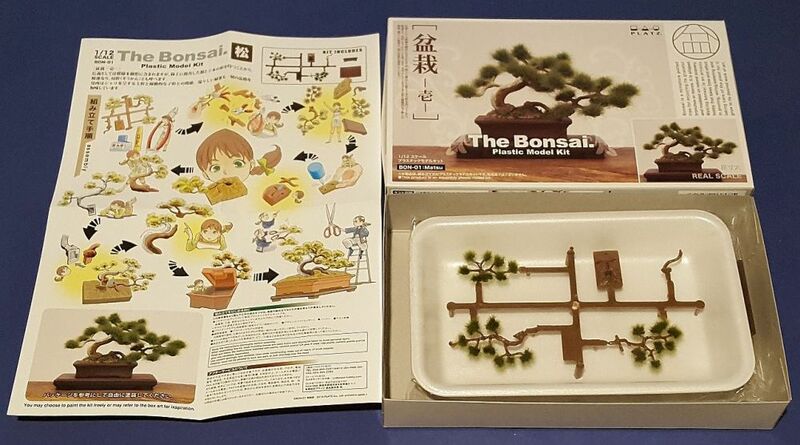 On the back of the instructions is informantion on the different types Bonsai trees and styles. All in all this looks to be a very simple kit to assemble.